5 out of 5 (100%) reviewers said they would recommend this vehicle to a friend. I have driven this car for 1 week+. It is quite nice and stable to drive. The steering is light and responsive. Compared to my previous Cat A cars, the acceleration due to the electric motor is smooth, fast and silent. I used to top up my petrol every week but this full tank should last me at least 2 weeks. Each top up also requires significantly lesser petrol (32L versus 42L). As it is based on Honda Jazz/Fit, it shares many good city-driving characteristics of these popular models, parts and accessories. Would recommend getting this higher spec version as it has more safety features (esp 8 air bags and Honda Sensing features). I chose this car over Hyundai Ioniq hybrid because of slightly lower price, larger space and also better FC. Over Renault scenic cos of higher price and more expensive spare parts. Over Prius+ due to much better pickup and overall feel. Comes with sports mode and econ mode options. Shuttle is basically an extended Fit/Jazz. Had a bad experience with another PI, who tried to encourage me to buy normal shuttle even though I've expressed my preferences - kept telling me it's not possible anyone in sg has X variant and that I shouldn't be tricked. Do take note of such sellers if you are looking at x model! It's a wagon! Very spacious even for rear seats. Acceptable price and road tax as compared to other cars on my shortlist. Useless car seat heating function, which means the seat is like half leather half fabric (alcantra seat, they call it). For a station wagon, it is an excellent car with great boot space and leg space. The Hybrid feature is excellent and at times, if you use it well with its Cruise Control Function, you could get nearly 30 km/litre rating! Getting an average of 19 km/litre is not an issue at all with the help of its Cruise Control Function. Even if you are stuck in a city jam or slow traffic, you could probably get 18 km/litre basically because while your car is not moving, it is sustained by the battery pack automatically with very little consumption on your petrol. It is important to get the X version that comes with the Cruise Control function. I nearly got conned into paying for a 1.5G version which doesn't come with the Cruise Control Function. Get a look at the steering wheel and you should see a Button on the right of the Steering Wheel with "Cruise" Written on it. There should be two Silver levers which are the shift paddles as well. Contrary to all those salesman talk, Cruise Control Function can also be used on normal road as long as your car could run above 30km/hr. A Hybrid like the Shuttle Hybrid, coupled with a Cruise Control Function will work wonders in saving your petrol cost. There are some disappointment though. The Shuttle doesn't come with a good Reverse Camera system. The Reverse Camera that comes with the Shuttle Hybrid is really bad. It doesn't come with Reverse Sensor as well. You may have to change that lousy reverse camera if you are dependent on such gadget for parking. It also doesn't come with Central Lock control which is pretty common in most cars. You must use the driver's car lock to do Central locking. The door lock doesn't automatic lock up when you drive, neither does it auto-unlock after you stop and park your car. This could be solved by buying and installing a gadget from JB workshop which cost me about 180 ringgits. It would have cost about S$100 in Singapore! Extremely Quiet Car which is very fuel efficient. Could get rating of nearly 30 km/litre if you use it with Cruise Control Function properly. On Average, for city traffic, it could get a rating of 19-20 km/litre. This is achieved using Cruise Control Function effectively. Very big boot space and you could use it for transporting lots of things when you pull down the back seats. The Original Reverse Camera that came with it is really bad. It doesn't come with Reverse Sensor as well. You can change the Reverse Camera and install the Reverse Sensor. It doesn't come with Central Door Locking system which lock all doors when you are on the move and unlocking it after you have parked your car. You will have to install a gadget to get it work. This will cost you about S$100 in Singapore or $180 ringgits in JB. It's essentially a Fit wagon wtih excellent legroom and ample headroom which beats a lot of small SUVs. - extra 30cm in boot depth that comfortably swallow a twin stroller unfolded. - soundproof windshield and chassis. - hybrid powertrain that runs 0-100 in 8.5s. - full LED lighting (except foglight). Back row space is just amazing for such a small car. Huge legroom. Good power for 1.5L hybrid DCT powertrain. NVH is bad especially for a hybrid car. DCT gearbox integrated with hybrid motor is potentially problematic. Have drove this car for 2 weeks. Simply satisfying. Good pickup even though it is a 1.5 station wagon. So many gadgets to play with such as cruise control, paddle shifter, sport mode, electronic park brake button, leg brake, multi function steering and more...Boot space did not disappoint me as main reason for buying this car is to put my kids' bicycles. 6 airbags. 19.8km/L FC and still going up! Authorised Distributor Honda cars are Honda City Reviews, Honda Civic Reviews, Honda Civic Type-R Reviews, Honda CR-V Reviews, Honda HR-V Reviews, Honda Jazz Reviews, Honda NSX Hybrid Reviews, Honda Odyssey Reviews. Parallel Imported Honda cars are Honda Civic Hatchback Reviews, Honda Civic Type-R Reviews, Honda Fit Reviews, Honda Fit Hybrid Reviews, Honda Fit Hybrid Speedo Motoring Edition Reviews, Honda Fit Speedo Motoring Edition Reviews, Honda Fit Trust Motoring Edition Reviews, Honda Freed Reviews, Honda Freed Hybrid Reviews, Honda Freed Hybrid Trust Motoring Edition Reviews, Honda Grace Hybrid Reviews, Honda Odyssey Reviews, Honda Odyssey Hybrid Reviews, Honda Shuttle Reviews, Honda Shuttle Hybrid Reviews, Honda Shuttle Trust Motoring Edition Reviews, Honda Stepwagon Reviews, Honda Stepwagon Hybrid Reviews, Honda Vezel Reviews, Honda Vezel Hybrid Reviews, Honda Vezel Trust Motoring Edition Reviews. sgCarMart is the number one car site for buying Singapore cars, including new cars, parallel import cars, Toyota, Honda, Nissan, Volkswagen, Mitsubishi & BMW. 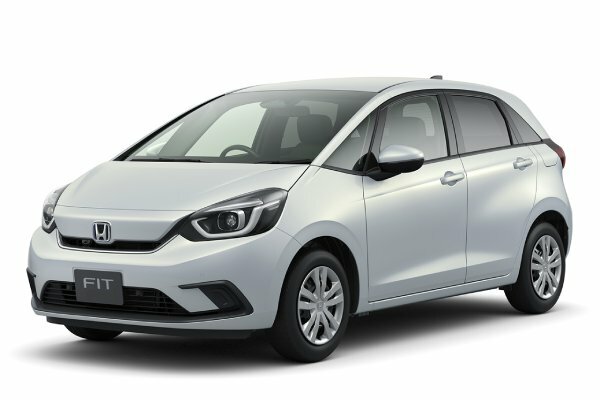 We have new car dealers comprising parallel importers, authorised car distributors, and used car dealers who have the New Honda Shuttle Hybrid Speedo Motoring Edition latest price Find new car pricelists, new car launches, new car promotions, new car reviews, latest car news & car articles. Read the New.Honda Shuttle Hybrid Speedo Motoring Edition consumer reviews to help you decide on buying a car. Also join our car discussion and forum discussion for car reviews, motoring news & motoring guides. Visit our partner sites who have job openings for Singapore jobs, Singapore classifieds, mover and real estate properties for sale.